Geographer David Thompson (1770-1857) made surveys of western Canada for the Hudson’s Bay and North West companies. Born in England, he was a Hudson’s Bay Company trader until 1797, when he joined the North West Company. He surveyed the headwaters of the Mississippi River, and in 1807 was the first white man to cross Howse Pass to the source of the Columbia River. In 1811 he explored the Columbia to its mouth, where the American Fur Trading Company had established Fort Astoria. His map of western Canada was long the best of the area. He served from 1816 to 1826 on the U.S.-Canada boundary commission. 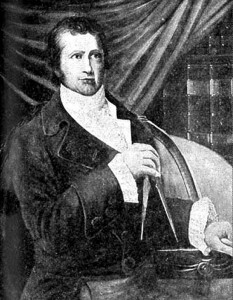 Athough regarded as one of the greatest geographers of all time, he spent the last years of his life in poverty at Longueuil, Lower Canada, working on the Narrative of his experiences from 1784 to 1812.